PokerNews caught up with Francois Safieddine just after he took down the $2500 No-Limit event, besting a final table with names like Humberto Brenes, Devin Porter, Bertrand 'ElkY' Grospellier, Lars Bonding, and John Phan (who Francois beat heads-up). Click here to check out the interview with Francois, along with all the other videos from this event. Francois Safieddine won his first bracelet and took down $521,785 for his victory in Event #19, $2,500 NL Hold'em. Safieddine outlasted a field of 1,013 players. Francois Safieddine moved all in and John Phan called. The flop was . The turn was the . The river was the . Safieddine caught a two-outer to eliminate John Phan in 2nd place. Phan won $330,846 for second place. 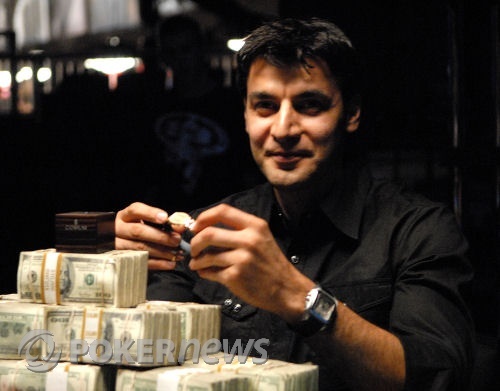 Francois Safieddine won $521,785 for first place. 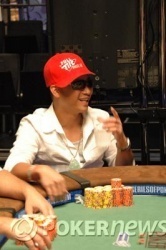 John Phan called 60K from the small blind. 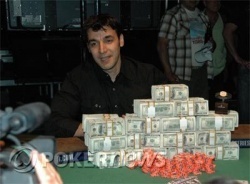 Francois Safieddine moved all in. Phan folded. Safieddine raised 240K. John Phan folded. Phan called 60K from the small blind and Safieddine checked his big blind. The flop was . Safieddine bet 125K. Phan called. The turn was the . Safieddine checked. Phan checked. The river was the . Safieddine checked. Phan bet 350K and Safieddine folded. Phan moved all in and Safieddine folded.